TIFF TIFF 2018: The Oscar race starts in Toronto - but who’s in the running? TIFF 2018: The Oscar race starts in Toronto - but who’s in the running? 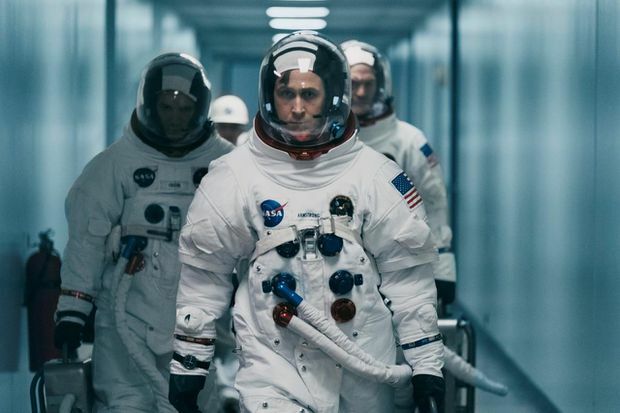 Ryan Gosling stars in the NASA drama First Man, which will have 10 screenings at TIFF. So what, exactly, is in the running this year? Usually by this point on the calendar, industry prognosticators would have a solid idea, based on what broke out at Sundance and Cannes. But there was little love for Thierry Frémaux’s programming on the Croisette this spring, while the films that drew buzz at Sundance in January have already been subjected to the marketplace (Sorry to Bother You, Eighth Grade) and now face uphill battles to stay in the game through December. All of which means this year's TIFF will be even more critical in determining which films go on to tiny-golden-man glory, and which die on the cold, cruel streets of King West. To start, there’s an industry-defining shakeup looming over TIFF 2018, with Netflix hoping to use the fest to finally break into the Academy Awards beyond the documentary realm. This year’s TIFF will feature eight Netflix “originals,” including films from such Oscar-friendly icons as Alfonso Cuaron (Roma), Paul Greengrass (22 July), and David Mackenzie (Outlaw King, which will be the first Netflix film to ever open TIFF). Expect the streaming giant to push Roma especially hard, given that it’s the first film from Cuaron since 2013′s Gravity, with TIFF affording its own substantial nudge, screening the film seven times over the course of the 10-day fest (typically, TIFF selections receive two to three screenings). Warner Bros., meanwhile, will push A Star Is Born, from first-time director Bradley Cooper (hmm, never heard of the guy) and starring Lady Gaga. Sony is hoping for a new Matthew McConnaissance with its crime drama White Boy Rick. Fox has Widows, which boasts not only a stacked cast (Viola Davis, Colin Farrell, Daniel Kaluuya) but also Oscar-winning director Steve McQueen (12 Years a Slave). And Universal’s indie-flavoured division Focus has Boy Erased, a tightly wound drama looking at “conversion” therapy for gay teens, starring TIFF’s man of the year, Lucas Hedges (who also headlines the drama Ben Is Back and Jonah Hill’s directorial debut, Mid90s, both of which could end up Oscar contenders). Elsewhere in the landscape, big things are expected for Jacques Audiard’s The Sisters Brothers, starring Joaquin Phoenix and John C. Reilly; the political drama The Front Runner, Jason Reitman’s second film of 2018 after Tully; David Lowery’s The Old Man & the Gun starring Robert Redford; Felix van Groeningen’s father-son tearjerker Beautiful Boy starring Steve Carell and Timothée Chalamet; and If Beale Street Could Talk, Barry Jenkins' follow-up to (eventual) best-picture winner Moonlight. While there are several high-profile films that will bypass Toronto altogether – Yorgos Lanthimos’s Emma Stone dark comedy The Favourite, the historical drama Mary Queen of Scots starring Margot Robbie, Robert Zemeckis’s Welcome to Marwen, the Coen brothers' The Ballad of Buster Scruggs – this year’s edition of TIFF seemingly possesses an even stronger grip on awards-friendly material than before. Little has escaped Toronto’s pull, and of its 255 features, simple odds dictate that at least a handful will end up on-stage at Hollywood’s Dolby Theatre Feb. 24. Let the awards race, and all the inevitable ugliness that comes along with it, begin. Editor’s note: (Sept. 11, 2018) An earlier version of this article said Netflix has seven films screening at TIFF. In fact, it is eight films. This version has been corrected.